I’m still weekending as I’m off today for the Columbus Day holiday, but I wanted to pop in and share a little something fun that I participated in recently. Beth over at Our Pretty Little Girls and Stephanie over at Wife Mommy Me hosted a blogger mug exchange a few weeks ago, and I couldn’t jump on board fast enough! I was paired with Jessica at Life. Love. Reality. and, boy, did she spoil me! When I opened my package, I saw a sweet little note, and not one, but two mugs! She explained to me in her note that she couldn’t decide which one that she like better, so she just sent both. There’s a travel mug that I can take on the go with me during these upcoming cold winter months, and there’s a regular one that I can use for all of my green tea and local honey drinking at work. I can’t decide which one I like better either! I do adore the “Love Your Self (ie)” one… it’s perfect for me since I take an OOTD picture every day! In addition to the mugs, Jessica also sent two of her favorite teas since she knows that I am a tea drinker. And Lipton Green Tea is actually already my go-to, but I had no idea that they made it with acai berries, too! I think I may have a new favorite! I haven’t tried the berry hibiscus yet, but you can bet I’ll be opening it this week! Thank you so much for all of the goodies and for your generosity, Jessica. I love it all so much! And thank you, Stephanie, for hosting… this was so much fun! If you want to see what I sent to Jessica, head on over to her blog now to check it out. Now if you’ll excuse me, I’m going to go enjoy my day off! I'll be back tomorrow with our weekend recap... it was a good one! Oh my, both of those mugs are so awesome!! I love that one is a travel mug and one is what you can snuggle up with at home. What a sweet gift! Enjoy your day off! I am so glad you liked your mugs!! Thank you so much for my Mug and Fall towels. Have a great Monday. I love them! Thanks again so much, Jessica! Love both of those mugs!! I love a travel mug for many reasons but the love your self(ie) may be my favorite!! Aaahhh two mugs! Love it so much. You deserve to be spoiled and that selfie mug is awesome. 2 mugs!? Lucky girl :) I love them both! And how sweet she sent tea too! Love the mugs! Such a cute little gift exchange! And it's perfect for this season! Both of those mugs are so awesome! Love both of those mugs! What a fun package! Love both of the mugs! 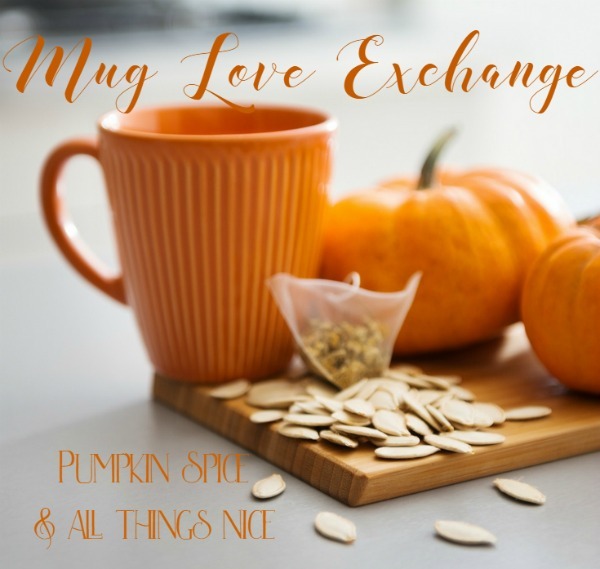 This is my second year taking part in the Trying To Conceive Mug Exchange, it's so much fun shopping for others and sending their goodies! Hope you enjoy your day off! What a fun idea, and she sent you great stuff! Enjoy that day off! Thanks! I loved the idea, too! So glad that these sweet ladies came up with it! Precious idea and LOVE your goodies!! Enjoy your day off beautiful!! Thanks, Andrea! I most definitely did! It went by way too fast, of course, but it was fun while it lasted! Seriously? How stinking cute!!! Love mugs! Enjoy your day off! But do us mommas ever REALLY get those? SO true, Laurie! I did have a little bit of time to myself, but I did also have to run errands for the kiddos and I also cleaned out Olivia's room a bit, so I guess it wasn't truly a day for relaxation, but it was still nice to get some things done! Aw what a sweet gift!! What a thoughtful gift, Love seeing all the mugs popping up in my feed :) Really wishing I liked coffee or tea, or anything that would need a fun mug! Both of your mugs are so cute! Thanks, Stef! I still can't get over your Chip mug! Linds, this is so perfect for you! You need that mug, haha. It like represents your brand. So cute! Love the mugs that she choose for you. I loved this exchange so much. I had so much fun picking one out and receiving mine!! Enjoy your day off! Berry hibiscus is a fav. of mine. Its also great cold! Love the mugs! Jessica is one of my "real life friends" and blogger friends! She is so sweet! Enjoy your tea! Me too! And yes, I'm sure there will be another one sometime! You'll have to join us next time!